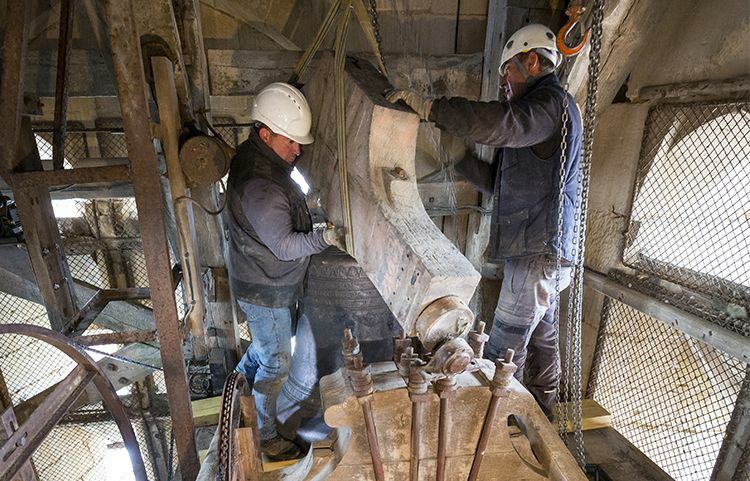 Since 1868, Bodet Campanaire has been making and restoring all the components for your bell and clock towers in its workshops in France Belfry, headstock, louvres, safety access. Bodet Campanaire helps you to keep time in your towns and villages by automating the chimes on your bells and churches. 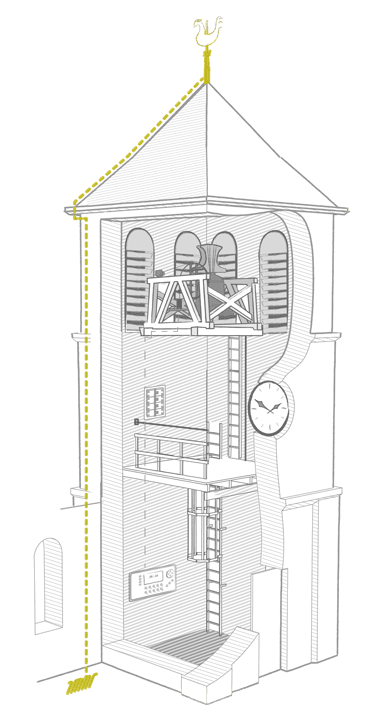 Bodet Campanaire designs all the components for bell towers in its workshops in Trémentines in the Maine-et-Loire department (49): Belfries, Louvres, Headstock, Bells Although the techniques have changed, the various bell and clock craftsmanship professions still aim to preserve the authenticity of your architectural heritage. 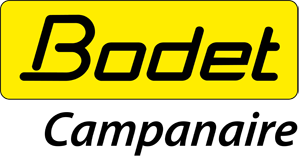 Over the years, Bodet Campanaire has found solutions to the various needs of towns and villages. Electrification of bell ringing enables a harmonious, tuneful sound to be rung out in towns and villages, and above all makes programming of bell ringing very simple. Access to bells is often very ancient and not usually safety compliant for workers. To secure vertical and horizontal movement, Bodet Campanaire installs gangways and lifelines suited to the configuration of the site to facilitate access to the building. Enables bells to be swung in a controlled way using a programmable electronic unit. Frame, usually made of oak, that supports the bells inside the bell chamber.